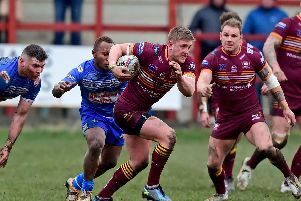 Batley Bulldogs coach Matt Diskin remains positive ahead of his side’s Betfred Championship trip to Halifax on Sunday. The Bulldogs suffered a second straight league defeat when they went down 42-14 to a strong Featherstone Rovers side last week and they face another stern test at The Shay against a Halifax side, who are on the back of a 33-26 victory over Leigh Centurions. Diskin said: “We need to stay tight as a group and need to keep improving on the things we are doing well and correct the stuff that needs improvement. “We are a positive group, it has not been a great start - two losses - but it’s a long season. But with this group, as long as it stays tight together, will be in a good position come the end of the season. There are going to loads of twists and turns, we have had a tough start. “We have another tough game against Halifax this week, we will go there and try our best to get a result. “But it is a long year and there is no panic from us. “We have got a good group, we have got good quality group of players. 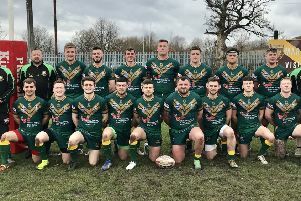 Diskin believes Featherstone’s dual registration players proved the difference between the sides last week as Rovers were able to call on the services of Leeds Rhinos players Cameron Smith, Luke Briscoe and Brad Singleton. He added: “The imports did ok, but I thought the biggest difference was the full-time boys. “Cameron Smith was outstanding and those players train and play at a different intensity and we really struggled with that. “In the first half there was a lot of effort there, and there was no lack of effort in the second half. “We just couldn’t handle the pace they played at in and around the ruck.